readfy is participating in the international ideas competition of a famous event and needs your votes! The Dublin Web Summit is the most important European meeting of international start-ups and venture capital providers. It is going to take place again this November and attracts founders and financiers to Ireland; in 2013, the organizers counted 10,000 participants from more than 90 countries, almost 1,000 start-ups, 300 speakers, and 500 journalists. This year, the organizers have come up with an extraordinary competition for the best new founding ideas before the event. Start-ups were able to submit a video with a maximum duration of 60 seconds and present their idea. 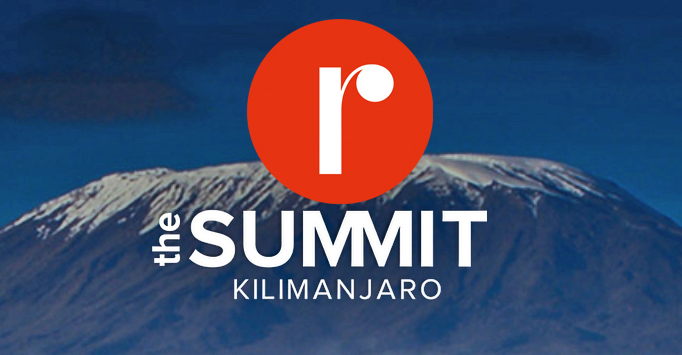 The Dublin Web Summit is literally a summit because the three winners of the competition may climb Mount Kilimanjaro together with a group of select entrepreneurs and investors – a unique opportunity to get helpful advice, make new contacts, and perhaps also secure the next round of financing. Nevertheless, the top 20 will also be rewarded for their participation, for they will receive free accommodation, tickets, and exclusive access to the VIP area. This is a great opportunity for readfy to save money or perhaps to even secure the next round of financing. So click here and vote for the readfy video! You may find the list of all participants here.